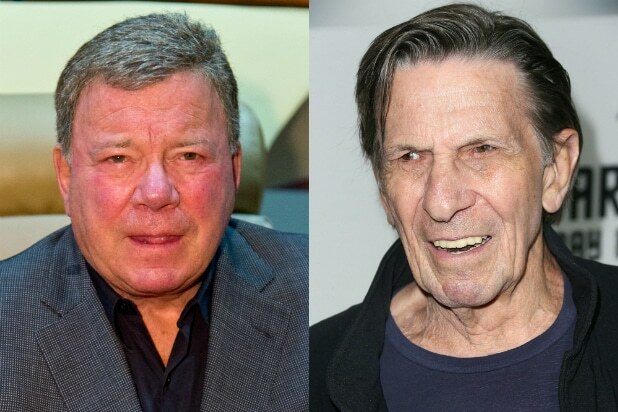 William Shatner is explaining his decision to miss “Star Trek” co-star Leonard Nimoy‘s funeral over the weekend, saying the Red Cross event he attended was an important celebration of life. The actor had come under fire Friday when he revealed he would not be able to attend Nimoy’s funeral in Los Angeles due to the Red Cross commitment. The New York Daily News dubbed Shatner “Captain Jerk” on its front page Sunday, while a New York radio host suggested Shatner’s Priceline endorsement deal would make scoring a flight from Florida to L.A. easy. “I chose to honor a commitment I made months ago to appear at a charitable fundraiser. A lot of money was raised. So here I am; tell me off,” Shatner wrote in a series of tweets as he blasted his critics, including a reporter from the Louisville Courier-Journal and the New York Daily News. Shatner asked the attendees at the Red Cross event to remember Nimoy, who played Spock opposite Shatner’s Captain Kirk on the iconic 1960s sci-fi series, as well as another friend who recently died. Inside Edition is distributed by CBS Television Distribution.